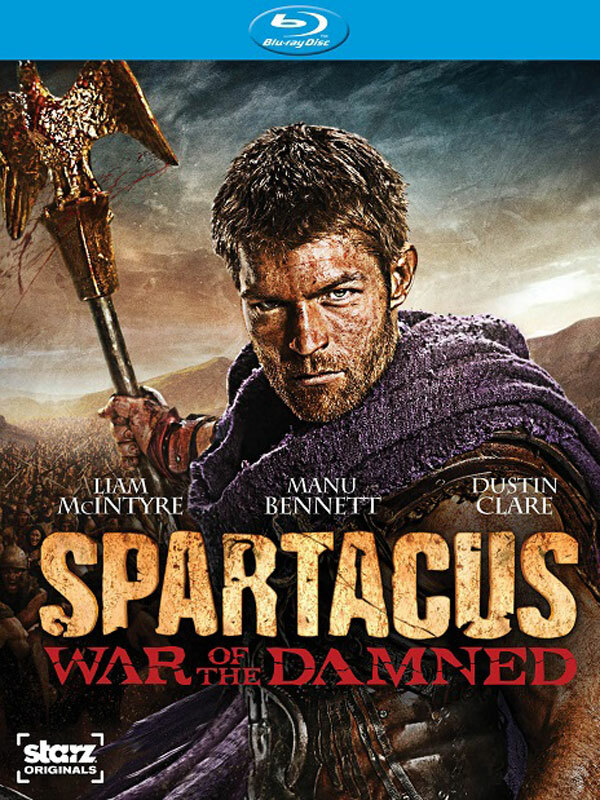 Spartacus: War of the Damned ended back in April on Starz, rounding out the drama’s final installation. Fans of the series will be pleased to note that Starz and Anchor Bay Home Entertainment's War of the Damned release will be hitting Blu-ray and DVD on September 3 in a set that will be jam-packed with bonus features. One of those extras is a fitting homage to the series, which features the cast members talking about all of the things they have missed. There is a general consensus that those involved with the production will miss the action sequences, fight scenes, and other stunts, which doesn’t surprise me in the least. If you’ve ever caught behind-the-scenes footage from the show, the hours the actors put in are long and hard, and anyone cast would have to be the type of personality that has a great love for staying in shape and trying wild stuntwork. The passion for the drama from these people can really be felt in the two-minute featurette, and if these are the sorts of extras the Blu-ray and DVD sets will offer, they should be worth a watch. Bonus features with the set are fairly extensive, and include several featurettes similar to the above “A Bloody Farewell” segment. Both Blu-ray and DVD copies will come with several bonus features, but Blu-ray copies will come with a few exclusive extras, including audio commentaries and extended episodes. Even if you’re not the type of person who usually swoons over extras, if you are a fan of the series, it will be interesting to see how the extended episodes change things, if they change the storylines at all. You can pre-order the set over at Amazon, or check out the Blu-ray trailer, below.